The term "Casta" is of Latin origin and means "pure; not mixed with anything else". The French use the term "terroir" to indicate the environmental conditions, especially soil and climate, in which grapes are grown. We cannot talk about wine grape varieties without associating them to the terroir. 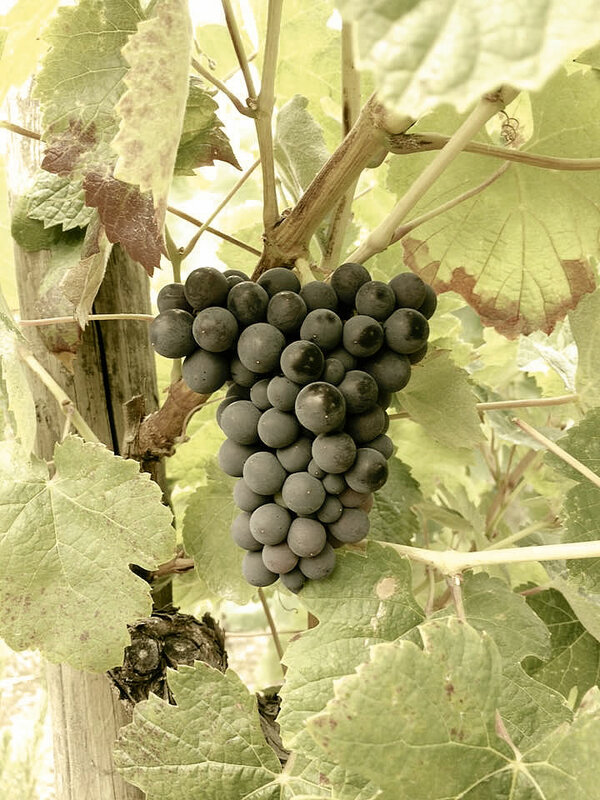 The same grape variety can have completely different responses depending on the place where it is planted, and this gives rise to differences in the final product - the wine. There are ten to twenty thousand grape varieties all over the world. Only about five hundred have been isolated, planted and reproduced by man. Baga is the prime red grape variety in Bairrada. It is also planted in other regions, especially in neighbouring districts. This grape has a high production level since it grows in tightly packed bunches of small grapes and has late maturation. In clayey soils with good sun exposure, Baga matures easily and produces very dark wines with concentrated aromas that can age in bottle for many years. The best soils for vines are the typical clays, clayey soils with a higher or lower limestone content, giving rise to the best grapes of the highest quality. 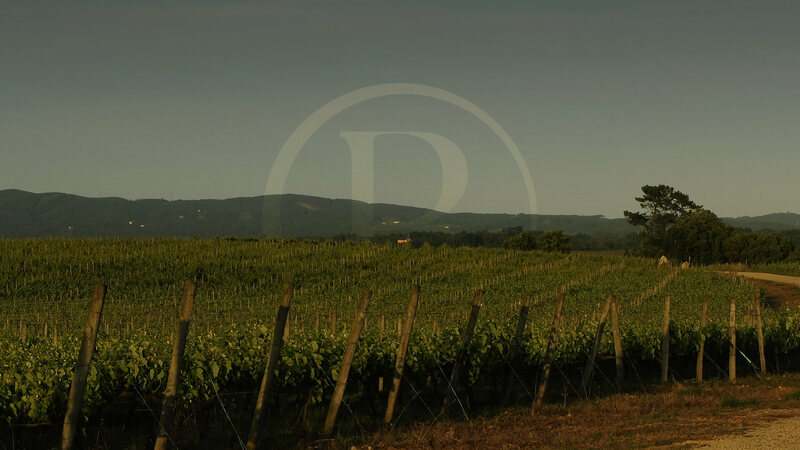 The exceptional characteristics of the region in terms of terroir and indigenous grape varieties have made Bairrada wines absolutely unique in the world. They are wines with a strong personality and unaffected flavour. The production of wine in Bairrada is documented from at least the Roman period. More specific evidence of this production only arose in high Middle Ages. The recognition of Bairrada as a wine region began with the production of red wine. However, the white wines have had an important role over the last century, mainly in the production of white sparkling wines in which Bairrada was pioneer in Portugal. 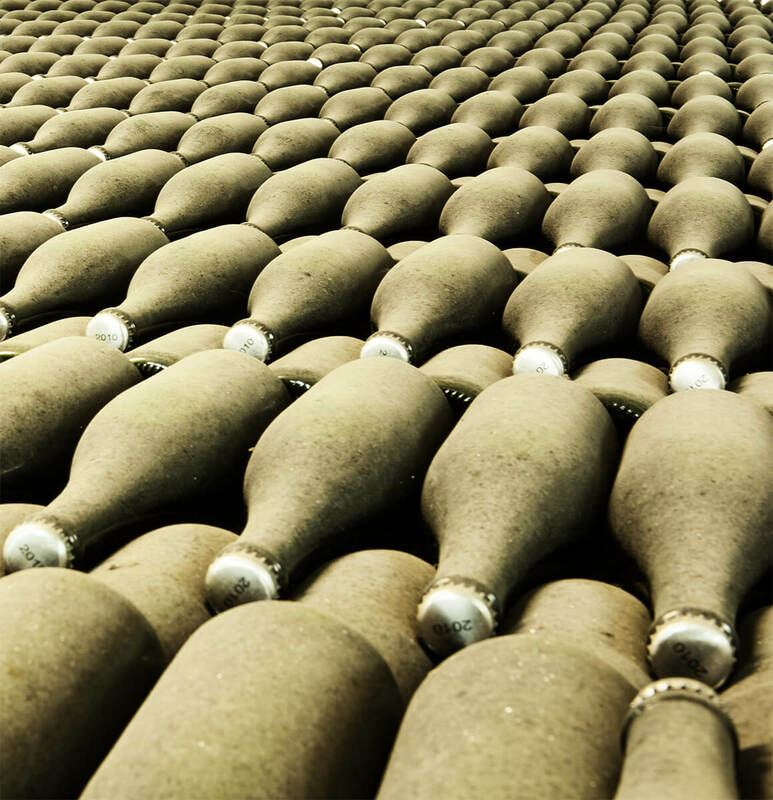 The first production of Sparkling Wines took place in Bairrada 125 years ago at the hands of Eng. Tavares da Silva in what is today the head office of the Bairrada Winegrowing Station. Tavares da Silva "imported" to the Region the principles of the Champagne method (the classic method of bottle-fermentation). Despite its long history of wine production, Bairrada was only officially recognised as a demarcated wine-growing region in 1979. Bairrada wines, rich and full of soul, are an excellent portrait of the plentiful land they come from. Among a fascinating variety within a single region, Baga, more than any other grape variety, can create a base for sparkling, rosé and red wines. The Bairrada territory is steeped in history and culture and includes a variety of landscapes, where, within the space just a few kilometres, visitors can enjoy distinct and remarkable places. The vineyards, the mountains, the natural spas, the river and the sea together complement the charms of the cities and small towns found throughout the eight city councils of Centre Region of Portugal - Águeda, Anadia, Aveiro, Cantanhede, Coimbra, Mealhada, Oliveira do Bairro and Vagos. Bairrada is bordered to the south by the River Mondego, to the north by the River Vouga, to the west by the Atlantic Ocean and to the east by the Mountains of Buçaco and Caramulo. 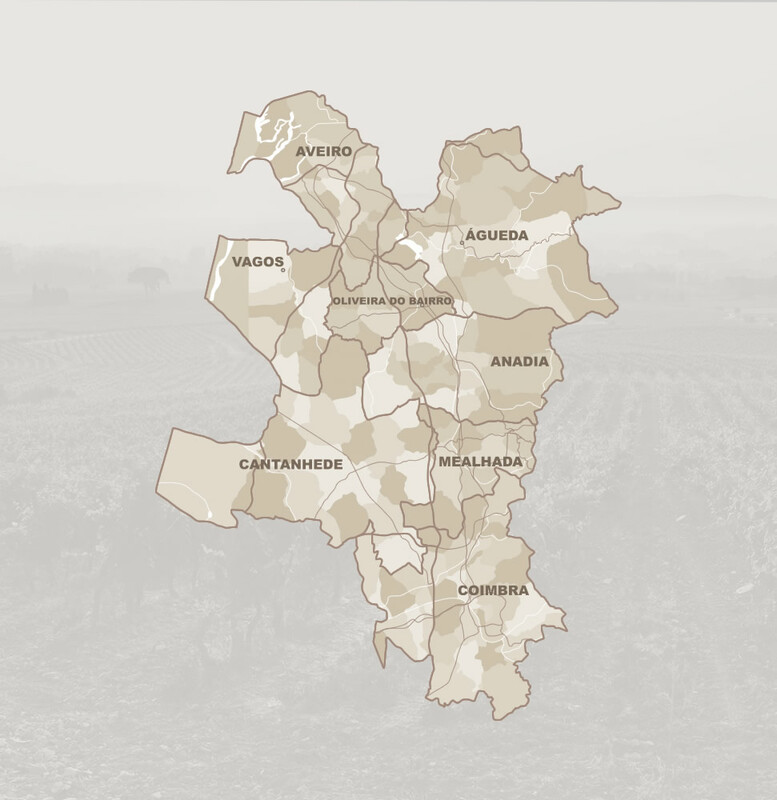 This is what makes Bairrada an exceptional geographic area with a unique climate and a special terroir, where clay is dominant.